Here, jungle-clad mountains pour down to an azure ocean dotted with traditional fishing boats and lush, green islands. A long and gently curving sweep of exquisite white sand is fast becoming the setting for some of the country’s top luxury hotels. About an hour’s drive further north is the coastal city of Nha Trang – replete with restaurants, bars and local culinary and cultural riches. 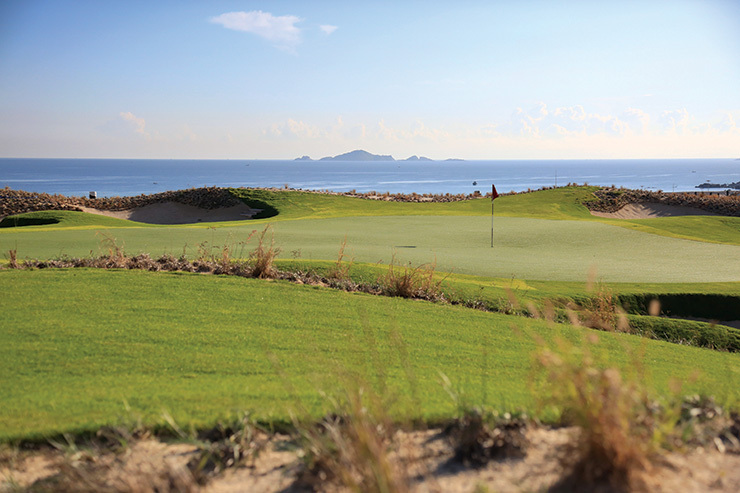 For golfers, though, the crowning attraction of this paradisiacal smorgasbord lies at the southernmost end of the bay, where KN Golf Links is staking its claim as one of the region’s finest new layouts. 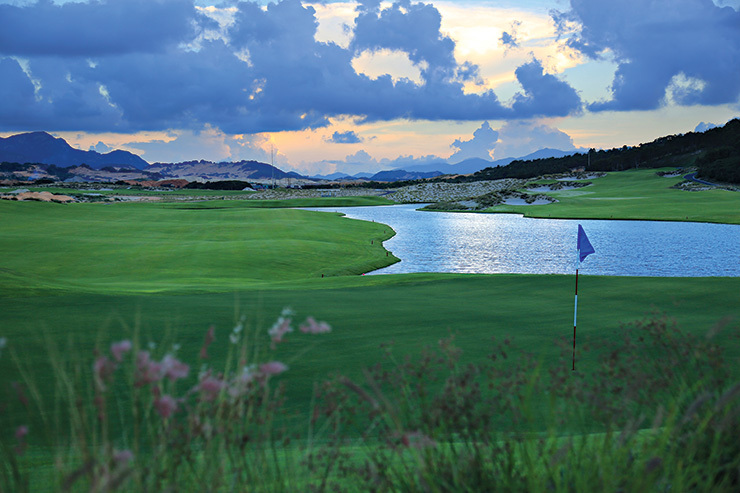 Having debuted in late October, when designer Greg Norman jetted in to inaugurate his latest creation in Vietnam – his third course in the country – KN Golf Links is fast making its way into talk about the best golf experiences in the country, if not Asia. 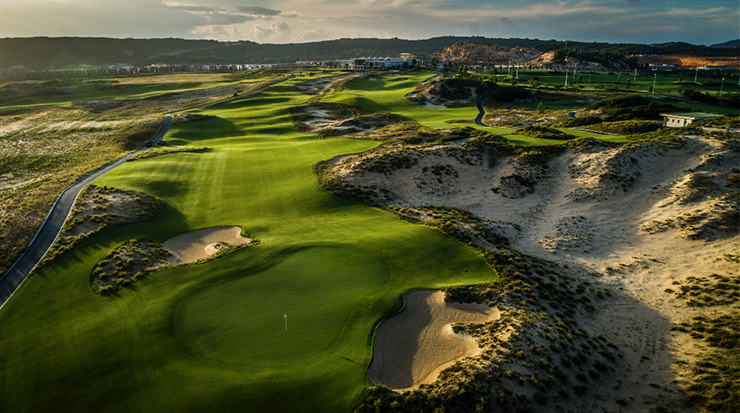 But most of the conversations so far have revolved around the Links Course, which maximises the rolling contours of the land exemplified by spectacular sand dunes. “It’s not an Irish-style golf course. It’s not an Australian-style golf course. It’s not a Scottish-style golf course. It’s just a damn good links golf course,” said Norman, who won his two majors — the 1986 Open Championship and 1993 Open Championship — on links courses. Now that the club is officially open for play, it is already making a strong impression. 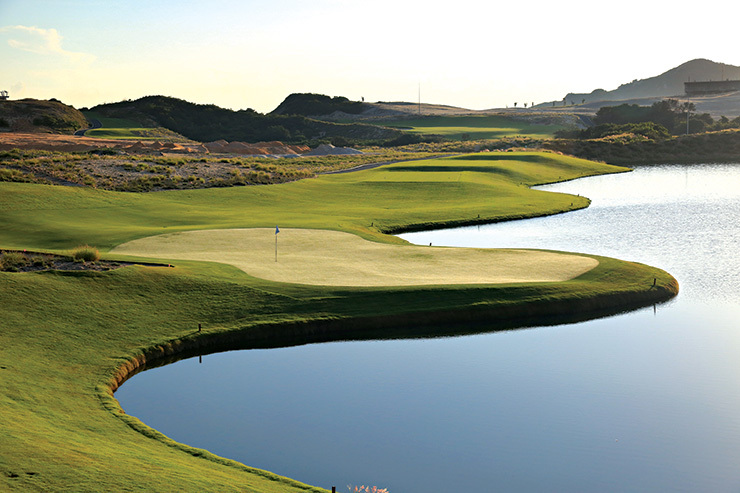 Indeed, it scooped the title of Best New Golf Course in Asia Pacific at the 2018 Asian Golf Awards less than a fortnight after its official opening. 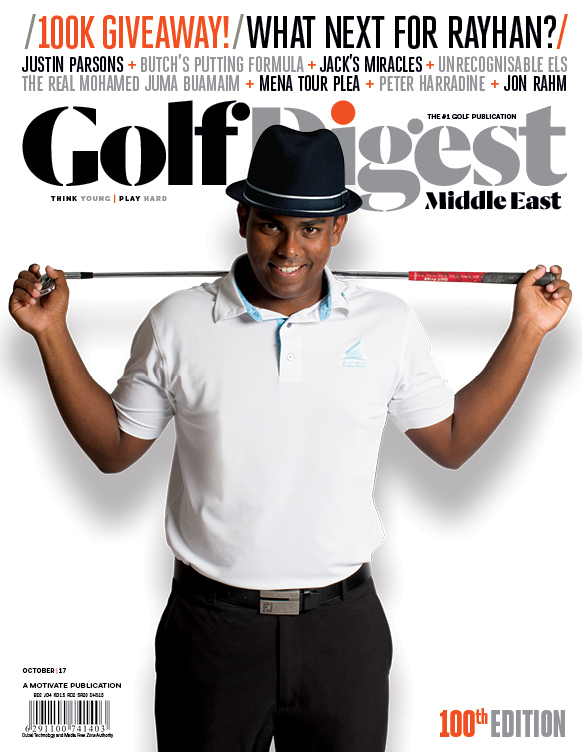 The course itself dips and dives through wild, undulating terrain and offers a series of remarkable viewpoints. Playing highlights of the course are myriad. 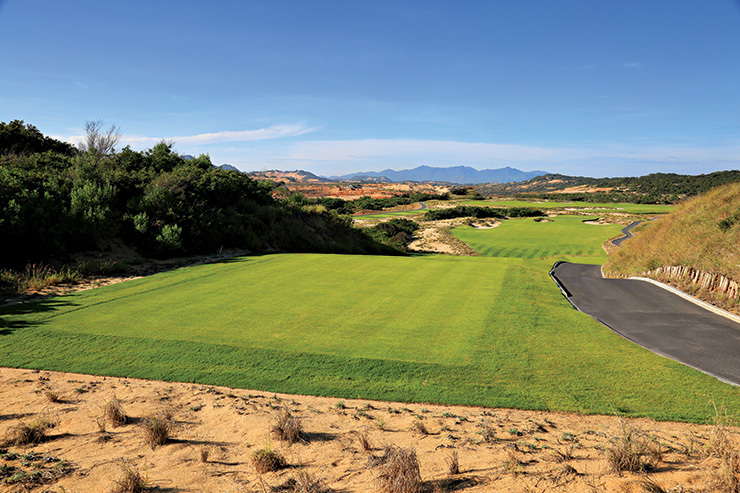 The layout is devoid of trees, accentuating its resemblance to one of the classic links courses in the United Kingdom. The rolling topography of the dunes, meanwhile, have resulted in some 50 metres of elevation change from highest to lowest point. There are numerous fine holes on the golf course. The par-3 2nd is a fiendishly tricky short hole played uphill to a cunningly guarded putting surface. Other crackers include the 10th and 15th, a pair of par-4s that play downhill towards the glittering sea. 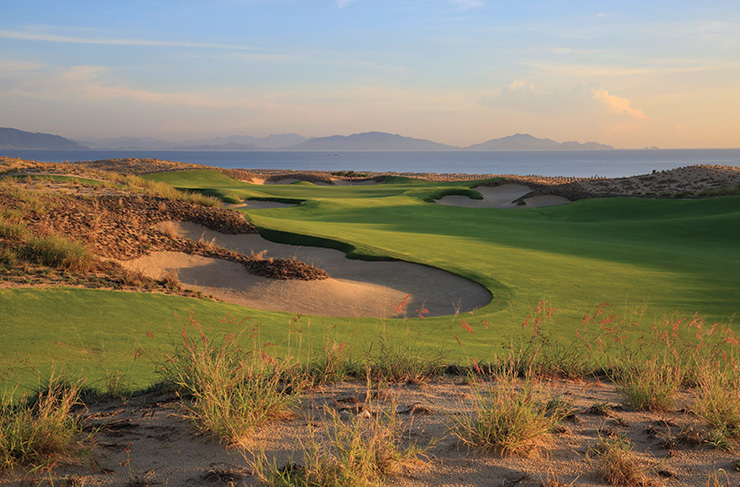 KN Golf Links is being managed by former Al Hamra general manager Simon Mees in consultation with IMG, a leading sports, events and media brand that operates some of the finest golf clubs in the world including China’s Sheshan GC, site of the annual WGC-HSBC Champions tournament. Prestigious company indeed, but KN Golf Links is well worthy of a place among the world golf course elite according to those who should know: including the course’s legendary designer. “If this quality of course keeps coming online (in Vietnam), I think you are going to see people salivating at the prospect of coming here to play,” said Norman.